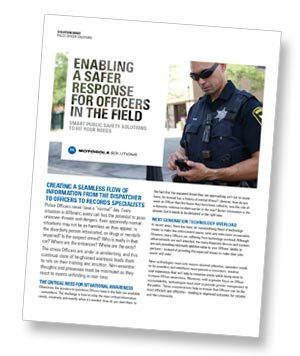 Discover Why Law Enforcement Agencies are Upgrading to the Motorola Advantage. 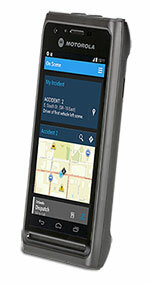 ASTRO 25 can track the location of vehicles and personnel through integrated GPS in APX radios. 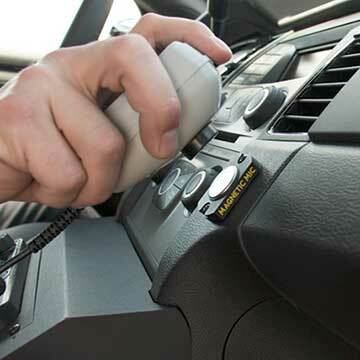 Air Comm offers mobile workstations, body cameras, car video, dispatch consoles and more. Clear communication and collaboration is paramount for the effectiveness and safety of today's law enforcement officers. 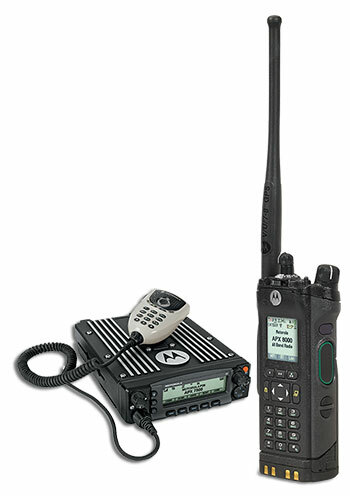 Air Comm recommends Motorola public safety solutions to keep your officers connected. These mission critical devices include portable and mobile police radios, enhanced wired and Bluetooth headsets, accessories as well as powerful data applications. It's specifically designed to meet the tough requirements of police departments and other public safety agencies. Air Comm is ready to help you respond to any challenge with complete solutions for law enforcement agencies. A challenge for public safety agencies is multi-agency collaboration across different systems, technologies, frequencies and geographies during an emergency. That's where ASTRO 25 comes in. 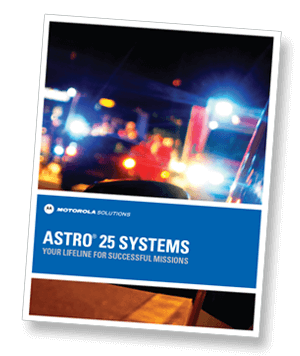 ASTRO 25 is Motorola Solutions' P25 standards-based mission critical network that provides integrated voice and data network communications for emergency response. For law enforcement agencies on the ASTRO 25 network, two-way radios and advanced applications work together to improve first responder safety and decision-making capabilities. More than just voice, the ASTRO 25 network includes location data, text messaging, database queries, identity and more. This allows you to share real-time information across applications, and even broadband devices, keeping everyone more informed. Check out the video below for examples of what the ASTRO 25 network can do.